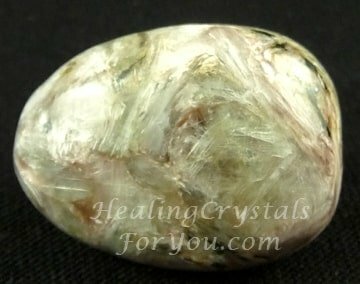 Tinaksite carries an energy that helps you in number of highly beneficial ways, as it will clear mental clutter and negative thinking. It will bring positive thinking and inspiration, and encourages you to find your true authentic path on your spiritual journey. 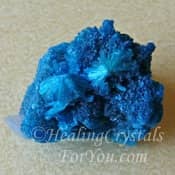 It has strong metaphysical properties that encourage you to let go of bitterness and negativity caused by past experiences. 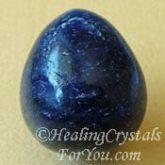 This stones energy assists to create privacy, as its vibration serves to make you less visible to anyone who may have been harassing you. This stone is quite unusual and seems to be found only in Siberia Russia. The meaning if it's name comes from the combination of the symbols for the minerals that make up the stone. 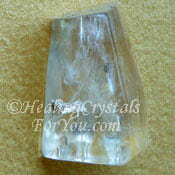 It often occurs as yellowish to grayish-white radiating crystals. It is a mixture of various colors, including pink, white, grayish white, pale yellow and light brown. It is said that the orange or yellowish inclusions in Charoite may be Tinaksite. 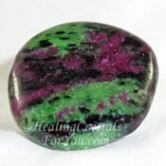 It may also have inclusions within it of other stones, including Pink Fedorite and black or green inclusions of Aegirine. 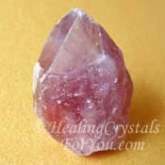 This is a positive stone generally, and it will particularly allow your emotional energy to change to a more positive frame of mind. 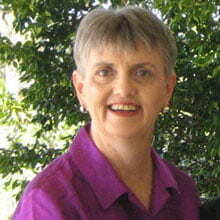 It creates a tendency towards working within your life to find your true spiritual path. It allows you to clear your mind of stuff that is no longer required, mental clutter that is obstructing your forward movement both intellectually and spiritually. 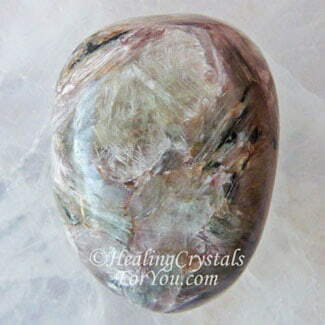 The vibration of Tinaksite will help you to remove those things from your life which obstruct your progress forward. Its energy within the third eye chakra not only allows for an abundance of positive thinking, but may stimulate flashes of inspiration. It allows you to eliminate negativity from both your way of thinking and from how you feel about past issues, which of course flows through to your present life. 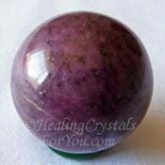 Used at the heart chakra, the vibration of this stone will aid you to let go of any personal traits that may be venomous, spiteful or acidic. 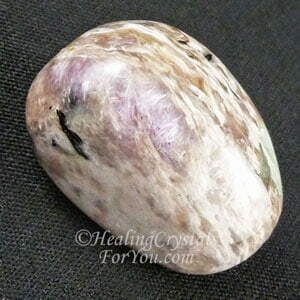 If you have been feeling that life is unfair, so have become bitter or angry about life's circumstances, this stone aids you to release bitterness and embrace positive energy. 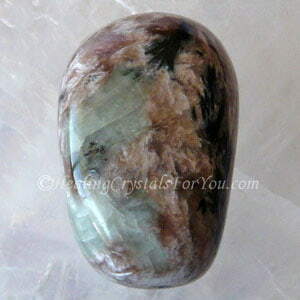 Tinaksite has an interesting mixture of qualities and it is active within a range of chakras. 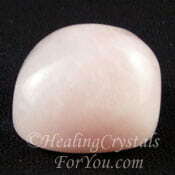 This stone has a strong energy to promote the ideal of justice being served. The underlying meaning of this is that it will aid you to correct problems within your life caused by things that have gone wrong that need correction. 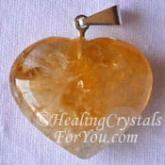 This stone works within both the solar plexus and the sacral chakra. 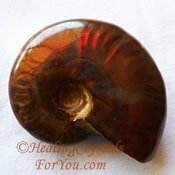 At the sacral chakra it will help to heal problems relating to infections in the body. It will also aid the healing of fibrous growths. 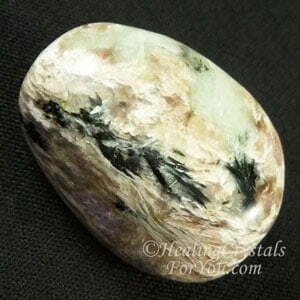 If you have been working to become more centered, and to live more genuinely, working towards living a true authentic lifestyle, this stone may assist you. 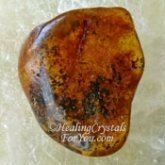 The action of Tinaksite at the solar plexus will stimulate and activate the energy of this chakra. This chakra is also called the power chakra as it has a lot to do with the ego and your personal power. 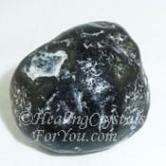 This stone will aid you to cleanse negative energy held at both the power chakra and sacral or navel chakra. It is said to be an excellent stone to grid your home with if you have been the victim of a stalker, or any level of harassment of any sort, including unwanted telephone calls. The energy of this stone is also excellent to ensure that your privacy remains intact. Place Tinaksite stones in each of the four corners of your home, so it becomes less visible to others. Its vibration ensures confidentiality of your past and allows you to remain anonymous. Its energy ensures that others take little interest in you personally. 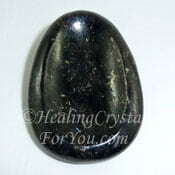 This vibration also works on a deeper level, as this stone was used in the former times in purification ceremonies, and rituals to remove dark negative energy, originating in a persons past. 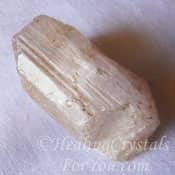 Its powerful metaphysical properties will encourage you to let go of bitterness and negativity caused by past experiences. This will aid you to move forward in your life so that you are living your true authentic lifestyle. "When one door closes another door opens; but we so often look so long and so regretfully upon the closed door, that we do not see the ones which open for us." Alexander Graham Bell. 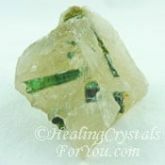 There are a group of stones that will help you with letting go of any negativity you have been holding onto, including Green Tourmaline, Yellow Citrine, Ammonite, Apache Tears, Amber, Blue Sapphire, Ruby in Zoisite aka Anyolite, Rubies or Lepidocrocite. If you have become extremely negative, you may choose to wear jewelry made from one of these stones. Wearing a lovely Charoite Pendant will be beneficial, as keeping this stone on your body, may help you to let go of excess negativity. If you have been feeling any sort of deep bitterness, it will benefit you to combine it with any of the other heart chakra stones. In particular it is excellent to combine it with Kunzite, Rose Quartz Crystal and Hiddenite, which all carry a strong love vibration. It may be combined with other third eye chakra stones, in particular Charoite, Covellite, Astrophyllite and Blue Cavansite. 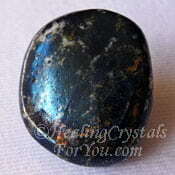 This blue stone will aid you to deal with life changes more easily.